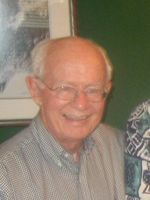 One of the “Four Horsemen of Aberdeen”, McDermott is credited with creating the first accurate blackjack strategy while serving in the US Army in the mid 1950s. Together with Roger Baldwin, William Cantey, and Hermert Maisel, McDermott used the Army’s simple calculators and his prodigious mathematical skills to analyze the game of blackjack, and to come up with statistical advice that could help players beat the dealer. The team discovered, for example, that splitting eights was less costly than playing the pair of eights as a 16. They published their findings in a book called ‘Playing Blackjack to Win: A New Strategy for the Game of 21’, which is considered to be one of the most important blackjack texts ever written. After serving in the Army, James McDermott became an executive at IBM. The Four Horsemen’s strategy, contained the first legitimate card-counting system, and though they didn’t realize it at the time, this was the original blackjack strategy that gave a player an advantage over the house, playing a flat bet. Although the Four Horsemen were never widely known by the public, blackjack aficionados and professional players have always revered the four mathematicians as legends. The four mathematicians provided Thorp with all of their data in 1958, which ultimately led to the publication of Thorp’s Beat the Dealer in 1962.